The 9th annual Quail Motorcycle Gathering officially kicks off Saturday. Originally a one-day affair, the Peninsula Signature event has added Sunday events to expand to three full days, and may soon last an entire week. That’s the ambition of Quail creator Gordon McCall, the longtime Monterey Peninsula resident and motorsports enthusiast. McCall said this year’s event will include a curated Friday ride and a spread of Sunday activities, including test rides on Honda motorcycles and with Bell helmets. By this time next year, it could include several more days of activities. 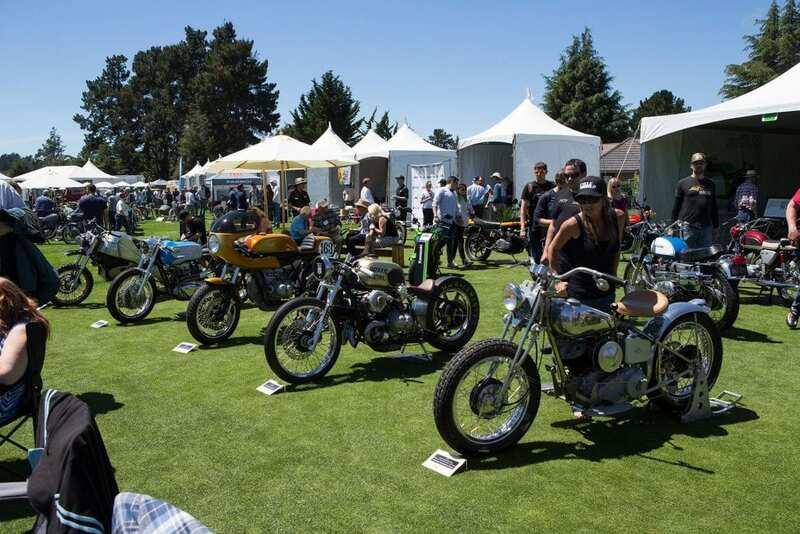 Already the largest and most respected annual West Coast motorcycle event, the Quail has for each of its gatherings included several hundred vintage and custom motorcycles, most competing for prizes, and a day full of catered cuisine, live music and exhibits representing hand-made motorcycle gear and apparel and cutting-edge technology. In recent years, the event has expanded to include a Friday “Quail Ride” around the Monterey Peninsula — with a lunch stop at a local winery and a visit to the recently opened Moto Talbott Collection motorcycle museum — as well as a Friday night dinner honoring special award winners and a Saturday morning ride sponsored by Cycle World magazine. This year, for the first time, Sunday activities will fill out the weekend. In partnership with Cycle World, the Quail will feature a day of test rides on Honda motorcycles. Among the models present will be the company’s Africa Twin adventure bike, its new 300cc and 500cc Rebels, its NC700 cruiser and its CRF250 Rally. A half-dozen other activities are also in the pipeline. McCall said he is in conversation with Revival Cycles, organizers of the annual Handbuilt Show, with a view to making their custom design program a permanent part of the Quail. Ginger Damon, a Los Angeles-based motorcycle clothing designer who operates the custom gear company Gigi Montrose, applauded that idea. Also in the planning stages: bringing more manufacturers and their products to the area for a motorcycle show similar to what AIMExpo does with its national events, and perhaps using a 300-acre property, adjacent to the current Quail location, at the Peninsula-owned Quail Lodge & Golf Club, as an off-road motorcycle test ride area. That real estate is already used year-round by Land Rover Experience Driving School, and could be repurposed for off-road motorcycling, McCall said — possibly for electric off-road bikes, of the type made by Zero or Alta. Also possible would be an event or series of events at the nearby Laguna Seca race track, a few laps around which are included for riders on the Quail’s current Friday ride. The week could also include a charity ride, similar to the “Why We Ride” annual rally from Southern California to the Monterey area that precedes the Quail. Tickets for the ride are sold separately from tickets to the Quail. Corey Eastman, consumer engagement director for Cycle World parent company Bonnier Corp., said the Honda demo rides, which will include a 45-minute tour through the surrounding hills, are already sold out. The Bell helmet tests are open. Both represent a unique opportunity for shoppers, Eastman said. Sponsored for the first time this year by insurance company Geico, the 2017 “Legend of the Sport” honor will go to Kenny Roberts. The three-time world GP champion and AMA Motorcycle Hall of Fame legend will join fellow retired American racing stars Mert Lawwill, Eddie Lawson, Reg Pridmore, Wayne Rainey and Gene Romero — all honored at previous Quail gatherings, McCall said. Several of those past recipients are expected to attend this year, he added. The first American to win a European Grand Prix race title, the Modesto-born Roberts is also one of only a handful of riders to win the so-called AMA Grand Slam, taking wins in half-mile, mile, short track, steeplechase and road race Grand National events. The facility will also be operating, for the first time, a daily lounge area in the Quail Lodge’s Covey Bar and Deck space.